We all know that human or animal cloning does not get much support, whereas, thanks to its considerable benefits, plant cloning is positively encouraged. This is a very efficient method for duplicating your favorite plants. Using a best cloning machine to clone plant has the same genes as the parent plant, and therefore similar characteristics. Thus, many gardeners are looking for the best cloning machines available on the market to help them with plant propagation. Today’s article will provide you with a detailed buying guide as well as the best cloning machine reviews 2018 to inform you of your choices. 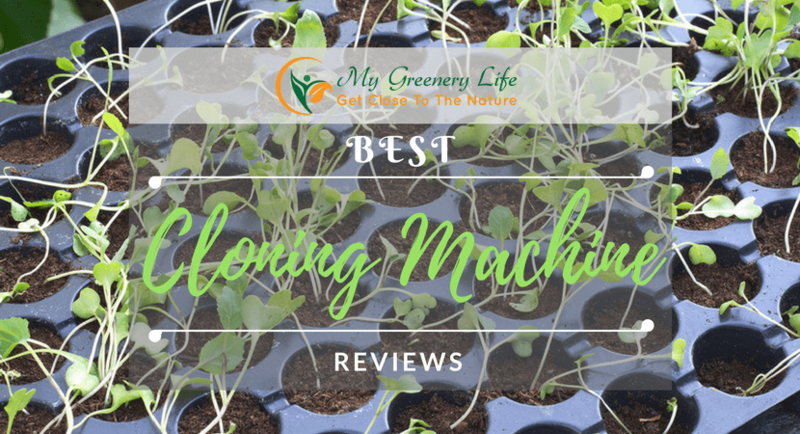 What is a Plant Cloning Machine? Practical Guide to Choose the Best Cloning Machines in 2018? #1. Which kind of cloning machine will meet your demands? #2. How many growing sites do you want? #3.What is your best bucket size? #5. Is your cloning kit expandable? A cloning machine consists of spray nozzles, a nutrient mixture, and a pump. It is usually made of plastic, and comes in a square or round shape. There are 2 main types of plant cloning machines, namely Ebb and Flow systems (EAF) and Deep Water Culture (DWC) machines. The reason you should use a plant cloning machine is to help you shorten the cloning process while still obtaining very good results. To be honest, without the support of one, you’d probably have to repeat the process at least twice. Practical Guide to Choose the Best Cloning Machines in 2019? There are hundreds of products available on the market. Consequently, you might get confused about how to choose a good cloning machine. To know what to look for when trying to find the best cloning machines for your specific needs, we’ve put together a useful guide of the most important features. The first and foremost thing you should ask yourself is “Which kind of cloner will meet my long-term demands?” As mentioned above, there are 2 types of cloning machines sold on the market now – EAF and DWC cloning machines. If you are a complete novice, the DWC cloning machine might be a better choice because it does not require any technical skills to set up and use due to the simple hydroponic system. In contrast, an EAF cloner is more advanced, providing you with greater efficiency, but requiring a little more technical knowledge. After having identified the most suitable type of cloning machine, you will need to decide how many growing sites you want to have. In other words, how many plants are you going to clone at a time? The reason behind this is that each product on the market has a different number of growing sites. Therefore, consider your needs carefully before making your choice. To choose the best cloning machine for you, the bucket size of your cloning machine will also be also a deciding factor. The size of your plants will determine the size buckets you need. Remember that bucket sizes are measured in gallons. The more spacious your bucket is, the easier it will be for you to release or transfer your plants. Therefore, we strongly recommend getting yourself a bigger one in comparison with your demand. There 2 kinds of hydroponic systems – active and passive ones. The active system is highly recommended because it will offer you more positive results as well as stronger growth, thanks to the pump that supplies your plants with nutrients at a designated time. Of course, this active system will cost you much more than the passive one. Choosing the best hydroponic cloning machine is very important. Will the kit you have chosen be able to supply you in future with additional devices to support you in growing your plants if you decide to increase the amount of cloned plants you produce? Maybe you do not need this right now, but it will be much pricier if you have to purchase a different kit later, as opposed to just adding onto your existing one. Those are the 5 most crucial factors that you must take into account. What follows now are some best cloning machine reviews to make it clearer. 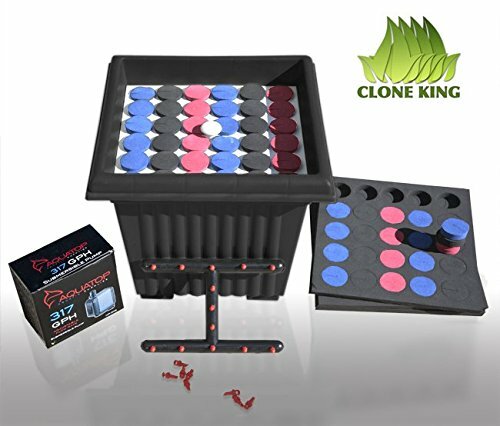 One of the best cloning machines for sale that I want to review is the 36-site cloning machine from Clone King. Thanks to the Aeroponic method, the cloning process will be quicker, that is, the roots on the cuttings have more chance to flourish. You can hang your plants to spray with the mist for a greater efficiency. Most plants will take just 3 or 5 days to begin showing roots. Although you might find it a bit difficult to move around, this cloning machine is quite easy to set up because the manufacturer supplies detailed instructions with each kit. 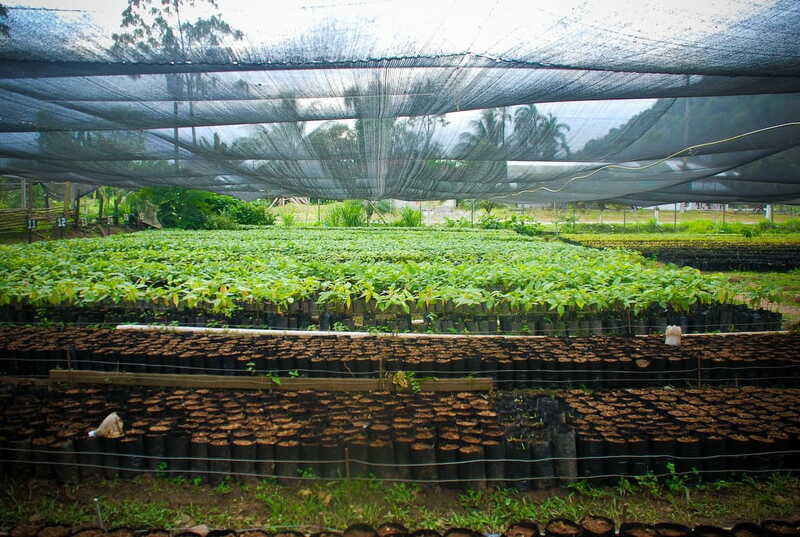 In addition, this machine performs quite well under different environmental conditions, promoting healthy development of the cuttings no matter what the weather. Consumers are also provided with a full system that contains everything you need to achieve good results – 36 sites, inserts, a submersible pump, lid, spray manifold (which is combined with misters), and a reservoir. Last, this 36-site machine from Clone King is completely organic. In other words, it uses no chemicals or hormones. Hence, the machine will be a hit for environmentalists. Despite its high quality, it does not come at a high price, but is most affordable. Let’s move to the next product to find out what is the best cloning machine for you. Another product on the list of best cloning machines is the smaller version of the first system mentioned above, the 25-site cloning machine from Clone King. In general, most people find that this machine is very easy to set up, since Clone King has done a great job in giving users step-by-step instructions. 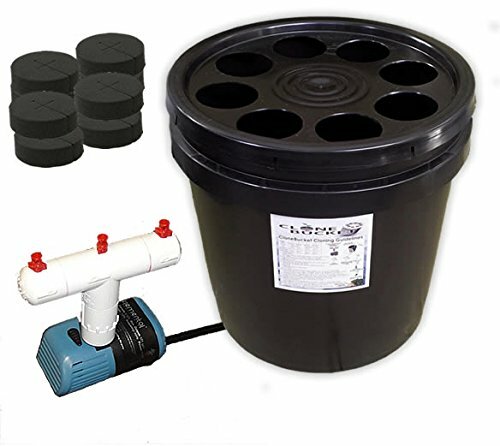 Their product comes with all the necessary tools including 25 sites, inserts, a submersible pump, lid, spray manifold (which is combined with misters), and a reservoir to help your cuttings flourish. So you’ll be well on your way to success. Moreover, it also comes with 5 net pots, 5 neoprene sleeves as well as 5 mister heads for replacement. As you can see, you can save a quite large amount of money thanks to these extras. Clone King guarantees to use no chemicals or hormones, so the product is not harmful to the environment at all. One last thing is that this machine is relatively cheap in comparison with its quality and efficiency. Before deciding what your best cloning machine is, let’s go to the next cloning system to see how it works. 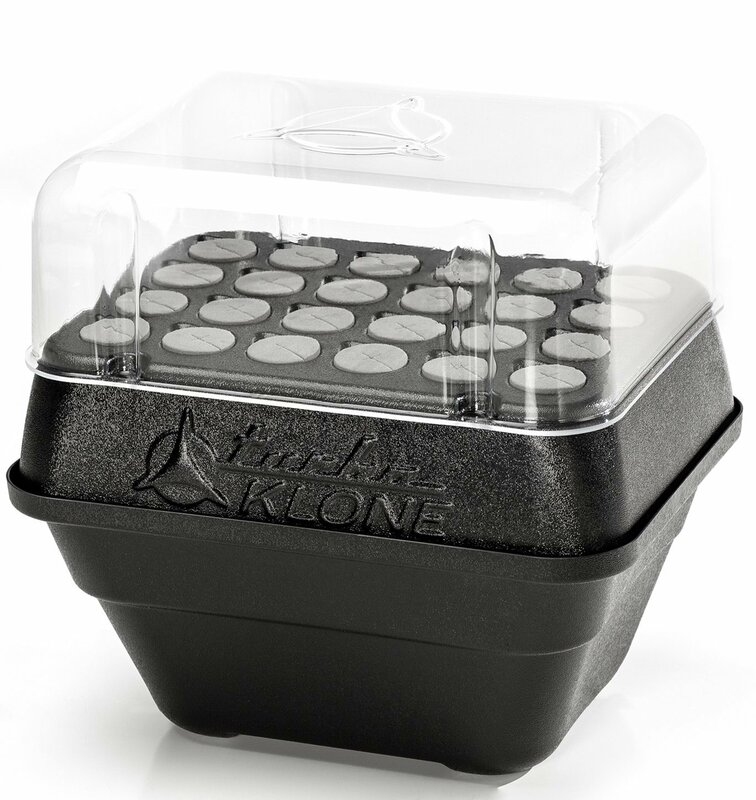 One of the products on the market that has received many “best cloning machine reviews” is the TurboKlone cloning system. The feature that makes it different from the 2 previous products is the removable humidity dome, which is specially designed for dry environments. Similar to Clone King machines, it also uses the Aeroponic method of growing that will strongly support the development of your cuttings. Furthermore, this product is very easy to clean due to its sleek and rounded design, which will help you avoid the growth of bacteria. Additionally, the fan technology is built to not only circulate the air inside but also to prevent potentially high temperatures. Another plus point is that the fan system is carefully protected to avoid the wires from being exposed. The cloning machine is quite spacious, offering you 24 sites. This lightweight cloning machine comes at a reasonably low price. The fourth system in the group of best cloning machines today is the biggest size of Cloning King machines with 64 sites. Still applying the Aeroponic method, the cloning process will be quicker as the roots on the cuttings have more chance to flourish, and after just 3 to 5 days, you should see the first stage of their development. This cloning machine is quite easy to set up because Clone King offers each purchaser detailed instructions. In addition, this machine will be able to perform well under different environments which will promote a healthy development of the cuttings. Apart from that, consumers are also provided with a full system that contains all the equipment you need to achieve your desired result – 64 sites, inserts, a submersible pump, lid, spray manifold (which is combined with misters), and a reservoir. Finally, this 64-site machine from Clone King is completely organic, in other words, it uses no chemicals or hormones. Therefore, environmentalists will love this machine! Despite the great quality, this machine does not come at a high price, but is surprisingly affordable. It is time to have a look at the last one to figure out what is the best cloning machine for you. 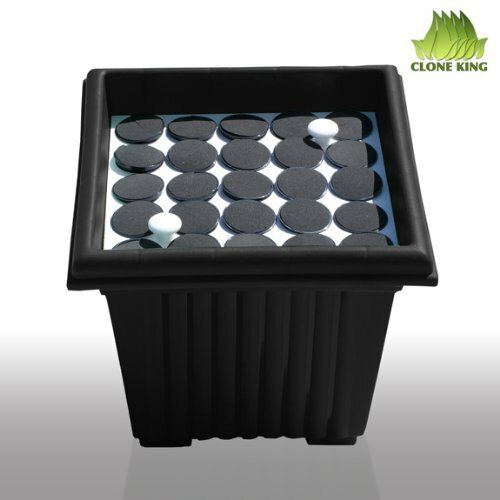 The last product in the “best cloning machines” list today is Clone Bucket 8 site plant cloner. It will take you around 5 to 10 days to see healthy roots from your cuttings. This result is much better than with the traditional cloning method. The manufacturer provides customers with very clear instructions. 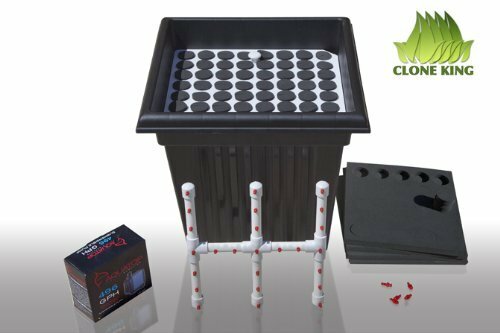 Similar to the other products, the Aeroponic cloning helps your rooted cuttings flourish and increases the rate of success. The 8-site model comes with neoprene inserts, and they are reusable. Hence, a quite large amount of money can be saved. One of the reasons why this one could be considered as your best cloning machine is because this product from Clone Bucket is user-friendly and reasonably priced. Okay! In this article, we have examined the important criteria to use when assessing which are the best cloning machines. Apart from that, I hope that now you know exactly what you are looking for in a product after I have presented some best cloning machine reviews. If you have any questions, just leave a comment below. Lastly, please don’t forget to like and share today’s post with your friends. Thank you so much!